TSS COMPANY UHF RFID Readers can be easily implemented to any workflow via provided TSSKBridge keyboard emulation software, which allows the user to insert data read from tag to any application supporting keyboard input(word documents, excel spreadsheet or other application). If deeper integration is required the user can utilize the application programming interface a C language library provided free of charge to any TSS COMPANY reader. Thanks to our partner from Germany our readers looks like very handsome. Shapes of these readers make every workstation even more representative and of course all cases of our readers are made from very quality plastic mixture. All our products are made in Slovakia. 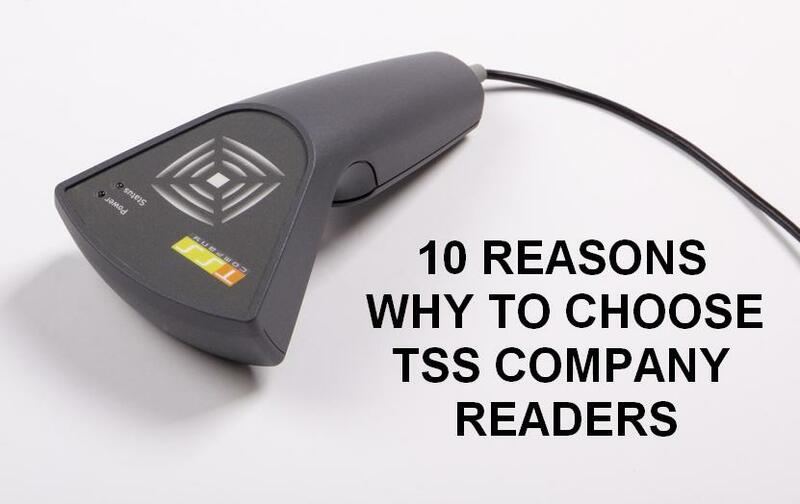 Every our final reader must pass through couple of quality controls and tests, after this the reader may become to final product of TSS COMPANY. Thanks to our highly sensitive UHF RFID mURM module in combination with ceramic polarized antenna are our readers extremely sensitive. For every inquiry from our customer is TSS COMPANY team ready to help. Every Slovak working day from 09:00 am till 05:00 pm we are here for you! Build Trust – this is all about. For this we develop our Fair Play Program. This program is very simple and ready for every our new potential customer. Thank to our great position – in the middle of the Europe, we are ready to send to you your favorite reader as soon as possible. Average Delivery time in Europe is 4 working days. Many of our customers ask us what is the reason why are our readers for that attractive prices? First of all we don´t use the single chip solution. This kind of soluiton make every reader much expensive. We are use our own mURM module based on many regular components. Every TSS product have 2 year warranty. Mr. David ARMSTRONG – CEO of RFIP Ltd.